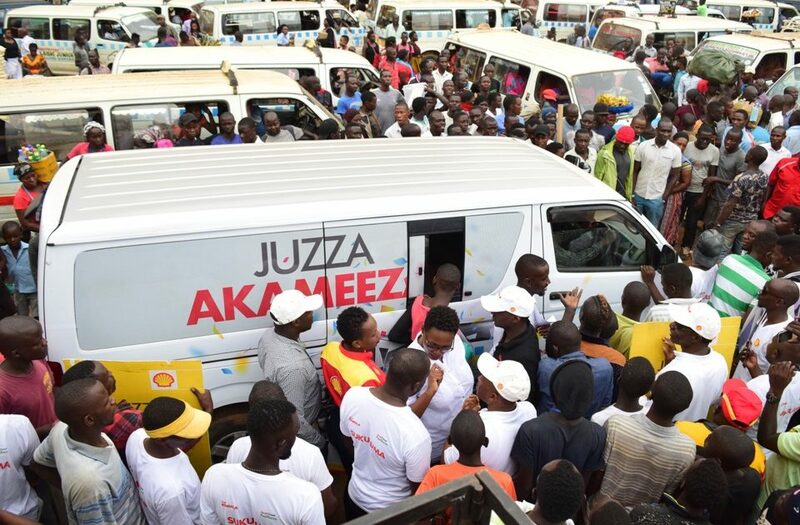 Vivo Energy Uganda on Friday officially handed over a total of 2 brand new taxi vans and 2 motor bikes to lucky winners in the just concluded Juzza Akameeza promotion. The prizes were handed over to the winners amid excitement during a grand draw held at the Old Taxi Park. The Juzza Akameeza promotion sought to reward Taxi and Truck drivers who use both Shell Rimula Diesel Engine oils and Shell Fuel Save Diesel in theirtaxi vans and trucks. 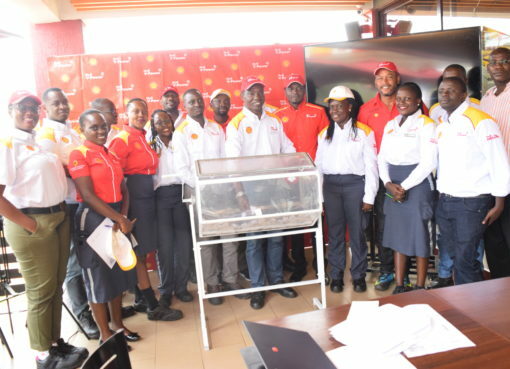 Speaking at the handover ceremony, Vivo Energy Uganda Managing Director, Gilbert Assi thanked the customers for their continued support and loyalty towards the Shell brand. The four-month long countrywide campaign has seen a total of 12 regional draws conducted at various taxi parks around the country with drivers bagging prizes worth over UGX 250 million. These prizes include 2 brand new taxi vans worthUGX 130,000,000, 12 motor bikes worthUGX 50,000,000 and household items including sugar, rice and salt worthUGX 70,000,000. Mr. Yusuf Wavamuno,winner of one of the two brand new taxi vanssaid he could not believe his luck. 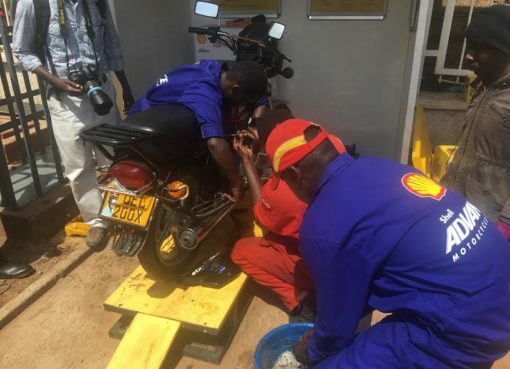 Yusuf, a taxi driver who plies the Jinja – Kampala route said he stopped for a Shell Fuel Save Diesel refill at Shell Clock Towerand was asked to participate in the campaign. “This new taxi means a lot to me because I now have an extra source of income for myself and my family. Thanks to Vivo Energy Uganda, I now own a brand new taxi, my life has truly been changed! I encourage other taxi and truck drivers to continue using Shell Fuel Save Diesel and Shell Rimula Diesel engine oils,” he said. 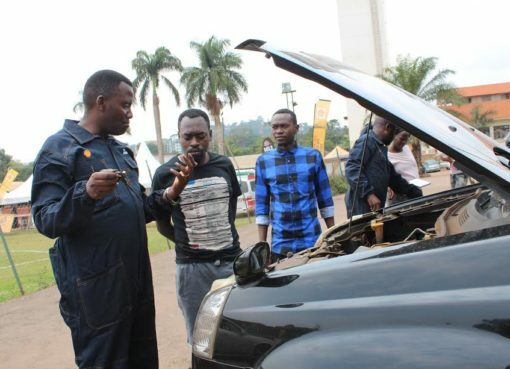 To participate in the Juzza Akameeza promotion, drivers simply had to spend UGX 50,000 on Shell Fuel Save Diesel or service their vehicles with Shell Rimula Diesel engine oils. The campaign attracted participation from over 6,000 taxi and truck drivers.